I will admit…. I’m not very mechanically minded when it comes to automobiles. I can drive a stick (although it has been years, I’m sure it’s like riding a bike), I pump my own gas, I can change the oil – if I had to, and if absolutely necessary, I could change a tire. I think every woman should be able to do these basic automotive necessities. We aren’t helpless, right? And with the help of Pep Boys, I can easily take care of routine car maintenance by myself when my husband is too busy. Although he gladly, and usually, does the vehicle maintenance on our cars, I like knowing I can do it, if I need or want to. 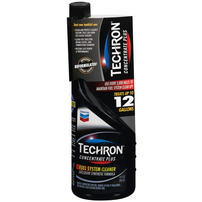 One of the things we’ve been doing with our vehicles to keep them healthy is to use Techron Fuel System Cleaner from Pep Boys. Engines are designed to work their best when they’re clean and modern engines are designed to work with finer tolerances and at higher temperatures. Techron® works molecule by molecule to prevent deposit formation, and in the case of deposits left behind by low quality gasoline, works to remove those deposits. A clean engine… is a happy engine. Did you know that even microscopic amounts of engine deposits can adversely affect performance? This is why Techron Fuel System Cleaner is so important to the overall health of you car’s engine. You will also get maximum power from your engine if it’s cleaner, lower emissions, and better gas mileage. Which means you’ll go further and your engine burns cleaner. Just like people, if we want to be healthy, it’s important what we put into our bodies, it’s important what we put into our cars so they can be healthy and last longer, too. Find a Pep Boys Near You to keep your car healthy. I have used this and it seems to really help. I have a feeling that my car could reallllllly use some of this! Ohhh, I have a Pep Boys really close. I’ll have to check them out! I haven’t tried it yet, but will look into it. I take my car in every three months and let someone else do it!! My car has been giving me problems lately…maybe I need to take better care of it with this? I will need to try this for my car. I love pepboys. I’ll have to give this a try. I always try to keep my vehicle maintained on schedule and any little help I’ll take! I agree with your review. Keeping the car engine clean and trying some maintenance cleaning will help the engine last longer. I learned how to change my tire with my dad years ago. So I can change a tire and check my oil levels. 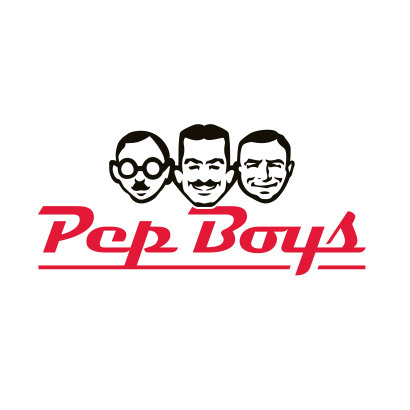 We use to have a Pep Boys in our area, but sadly, they left. Thanks for the tips, would def go buy this asap!!! I’m not very mechanically minded either, but I definitely believe in keeping up on preventative care for your car. Nice to know how much more efficient a clean engine can be. I wish we had a Pep Boys a little closer! I think they put this in my SUV recently & it helped. I’m super paranoid about the health of my car so it gets routine check ups! We need to use this…I don’t think we’ve ever used a fuel system cleaner. Maybe I need to give this a try. Bob the van just hasn’t been acting right since we got back from our trip. This is one thing I used to be really bad at but I mark it on my calendar now and make sure to always service it on time. I use this Fuel System Cleaner and it really works at keeping my car running really good. I like Techron Cleaner because it works the best! Hubby was just saying we need to get this for his car – my car is newer so he’s always maintenancing his. We just had a Pep Boys open near us. Hubs is excited. I’ll have to check this out. My car is getting old and running a bit rough. And kudos to you for knowing how to change your car’s oil. I’ve never learned and don’t really have a desire to, LOL. I don’t do any of the car maintenance and just take it to the dealership I bought it at.